Company Helitours was created in 2005 whit home base on private heliport in Loče, Slovenia. At beginning there was only one helicopter Bell 206B who is used only for private purporses. After some time the helicopter was used for panoramic flights and pilot school. But that wasn´t enough,we wanted something more,something bigger. 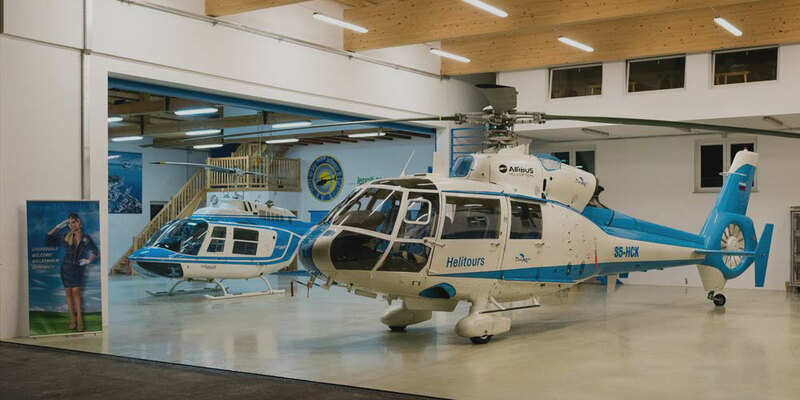 Now we are proud owner of European Air Operator Certificat and two more helicopters Airbus SA 365 C2 in our property, with mission of better,faster and more reacheable connection for our clients. With years of experiences, Helitours will be your trustfull partner in wide specter of services. Our highly motivated team consists of proffesionals from wide range of aviation – Operations, Airworthiness, Flight training. They are our guarantee for success and your confortable. Our team is our key to success and our most valuable asset. Our customers rely on our experience and on our dedication. But we have something more: PASSION. We truly love our job! We are aviation enthusiasts, not only sharing a dream, but living it. If you want to be part of our team, get in contact whit us.